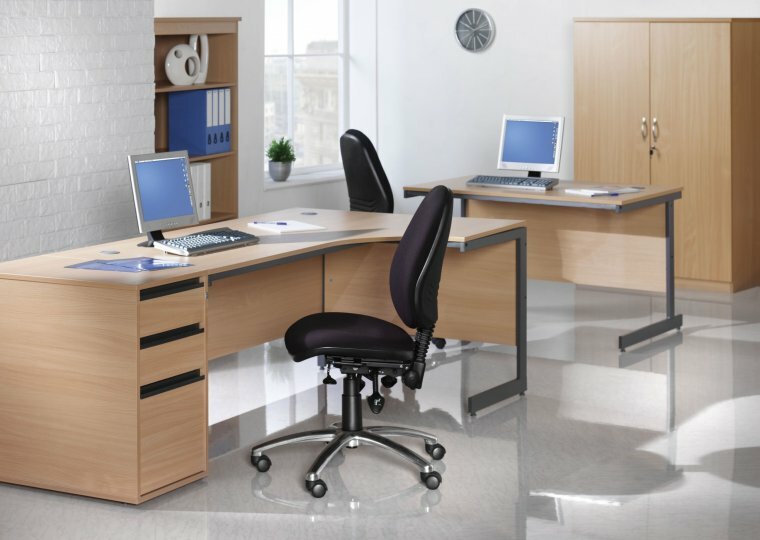 These desks are great value for money and have a C shape cantilever frame. 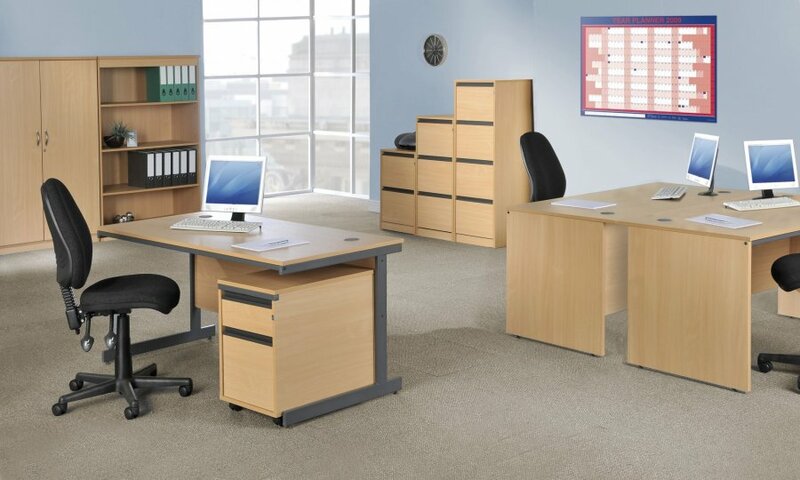 Available in either Beech or Oak and held in stock for a quick delivery within 3-5 working days from order these desks are simple in design yet are affordable and designed to fit into the average office environment. 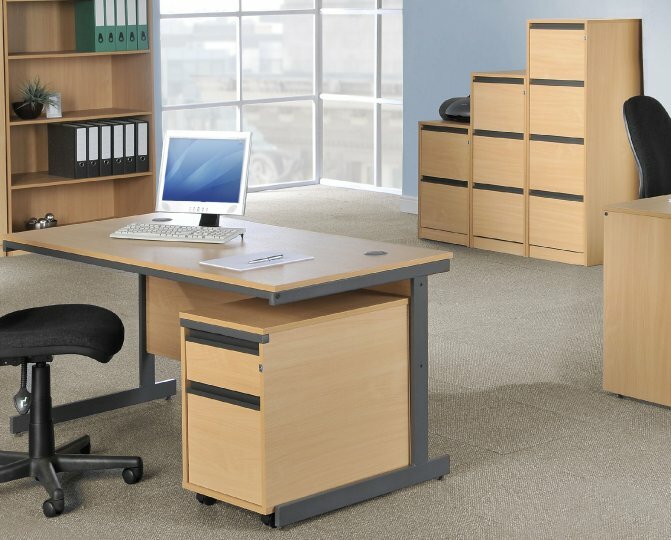 With a heavy duty 16 gauge frame and 18mm thick MFC top means that these desks were built to last.